A departmentwide audit is important for business reform, for Congress and for the taxpayer, the Defense Department’s comptroller told the House Armed Services Committee today. The process has started for the first departmentwide audit in DoD history, David L. Norquist said. Defense is the largest department in the executive branch and has assets around the world. Defense Secretary James N. Mattis and Deputy Defense Secretary Patrick M. Shanahan are fully behind this effort, Norquist told the committee. This audit will verify the count, location and condition of military equipment and real property. 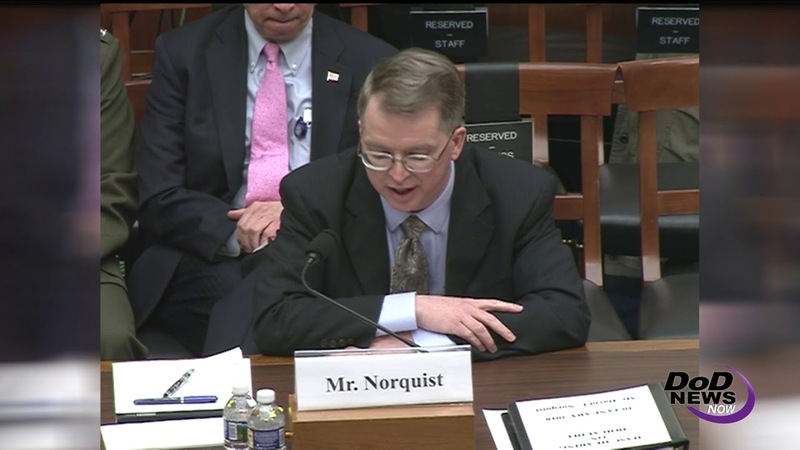 “It tests the vulnerability of our security systems and it validates the accuracy of personnel records and actions,” Norquist said. The department will have 1,200 financial statement auditors assessing the books and records to develop a true account of the state of the department, the comptroller said. It will take time to pass all the process and system changes necessary to pass the audit and get a so-called “clean opinion,” he said. He noted that it took the Department of Homeland Security -- a much smaller and newer agency -- 10 years to get a clean audit. An audit will improve accountability, the comptroller said, noting that, for example, an initial Army audit found that 39 UH-60 Black Hawk helicopters were not properly recorded in the property system. “The Air Force identified 478 structures and buildings at 12 installations that were not in its real property system,” he added. The audit should cost about $367 million in 2018, Norquist said, which is about the same percentage of the overall budget that large firms like Proctor and Gamble or IBM spend on their audits. “We also anticipate spending about $551 million in 2018 fixing problems identified by the auditors,” he said. Finding better ways to do business will allow DoD to invest in greater lethality for the force, the comptroller said.